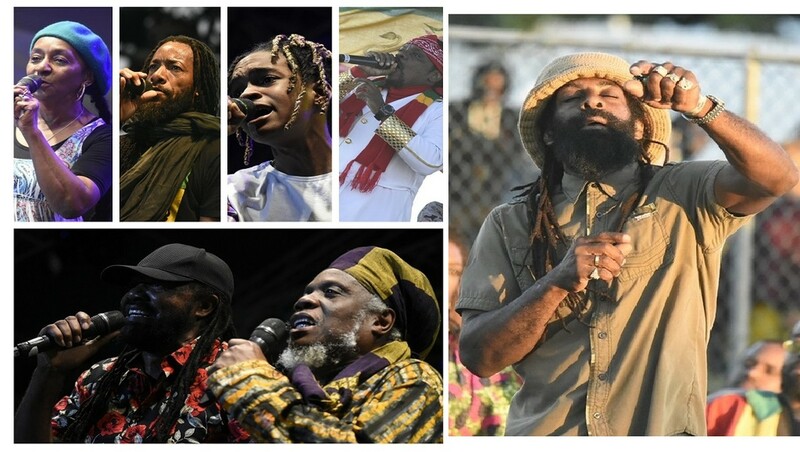 Night two of the 26th edition of Rebel Salute was a musical feast from beginning to end and could not have been a more fitting fashion for the curtains to come down on Jamaica’s longest running reggae festival. The quality of most of the sets delivered were of the highest order and the large crowd on hand lapped it up lovingly. 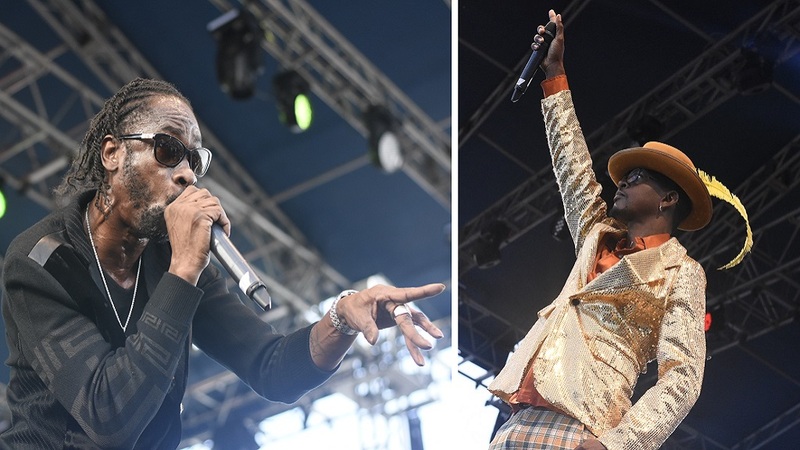 The night's top performers were Mr Vegas and Rodney Pryce (Aka, Bounty Killer). 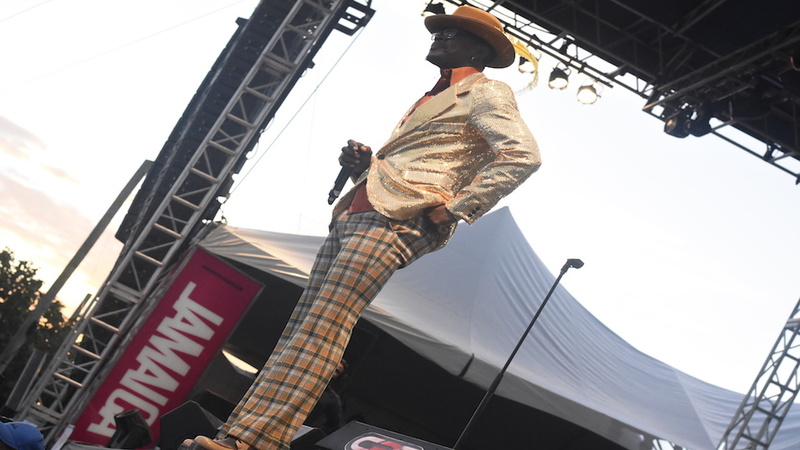 A comedic Mr Vegas stamped his mark on the event. Dressed as a 1970s soul brother with plaid pants, coat, platform shoes and felt hat with a feather, Mr Vegas used every trick in the book to score maximum points. 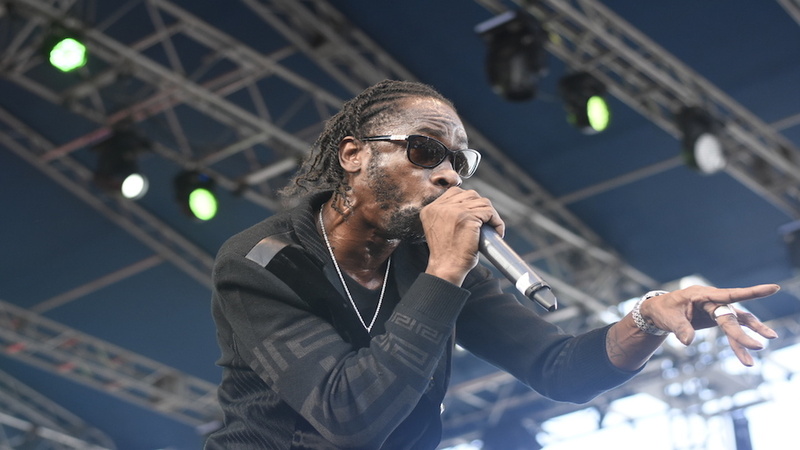 He jokingly threw barbs at Bounty Killer - billed for the event as Rodney Pryce, enlisted the services of dancehall selector Foota Hype, interspersed his Gospel and dancehall singles and referred to himself as ‘Usher Him Out’ to come up trumps. He entered the stage to the tune of Jimmy Cliff's 'Harder They Come' before doing 'I Am Blessed' as he journeyed through his catalogue that included hits like 'Tek Weh Yuhself', 'Heads High', 'Nike Air', 'Girls Time' and 'Do You Know'. Performing just before daybreak, he injected energy into the crowd as he got audience members to wave, dance, move and sing, while also using songs from other artistes to enhance his performance. Mr Vegas drew from Bob Marley with 'Three Little Birds', Chaka Demus and Pliers with 'Murder She Wrote', Alton Ellis with 'Breaking Up' and ended his well-received set with Brook Benton's 'So Many Ways'. For many, Mr Vegas pulled of the perfect coup. However, Rodney Pryce had not yet had a say and, when he did, it was emphatic. Pryce displayed a sense of occasion and delivered a riveting set that arguably clinched victory over Vegas by the flare of a nostril. He was in a no nonsense mood and reeled off hit after hit for an audience who had refused to leave the venue, even after being thoroughly entertained up to that point. If there were any doubts that Pryce was an accomplished entertainer, those were dashed as he commanded the attention of his adoring fans inside the venue with his biting social commentary. 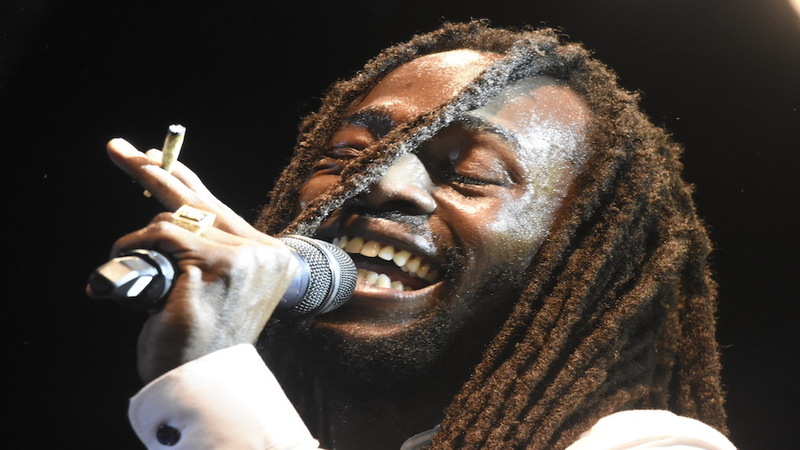 Jesse Royal also shone, as he held the audience's captive gaze for his entire set after entering with the Rastaman chant, 'So Long Rastafari Call You', with a lit spliff between his left index and middle fingers that he kept in place for his entire performance. He also supplied the audience with musical energy through 'Generation' and 'Modern Day Judas' - during which he sampled Chronixx's 'Here Comes Trouble' - 'Black Woman', 'Rock It Tonight' and 'This Morning'. 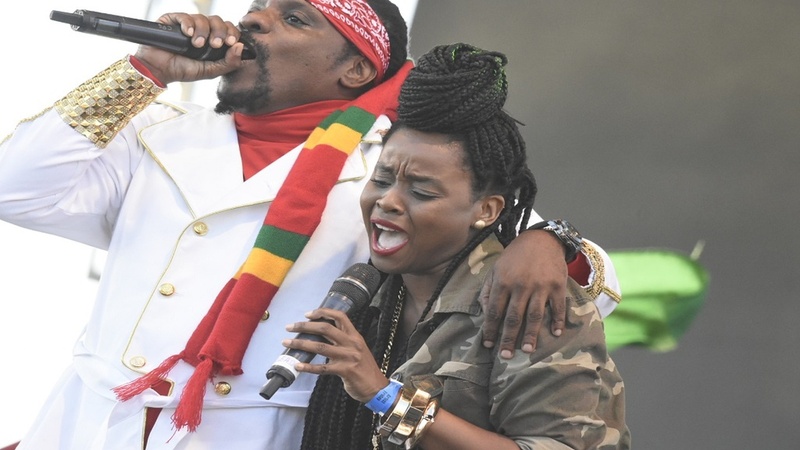 Queen Ifrica was militant as she engaged the audience in discussion for most of her set, during which she lashed out against what she believes are ills of society. She also directly addressed Prime Minister Andrew Holness - who sat in the front pew alongside ministers Olivia Grange, Ruel Reid and Shahine Robinson - on issues affecting the island. Her speeches were cheered by the large audience and she did manage to perform songs such as 'Lioness On The Rise', 'Black Woman', 'Below The Waist', 'Keep It To Yourself', new song 'One Hold' and 'Heroes'. 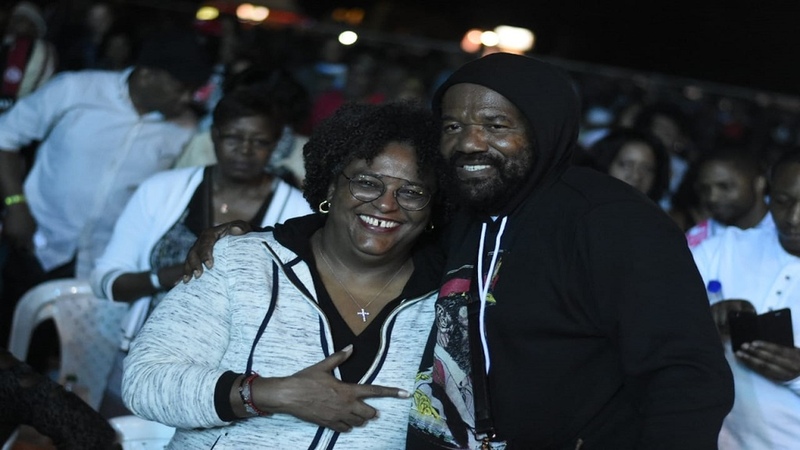 Before doing 'A Nuh We Dis', Queen Ifrica, who had earlier called her son Imaru Tafari on stage, sat on a speaker directly in front of Holness and addressed the prime minister, who left his seat to hug her. 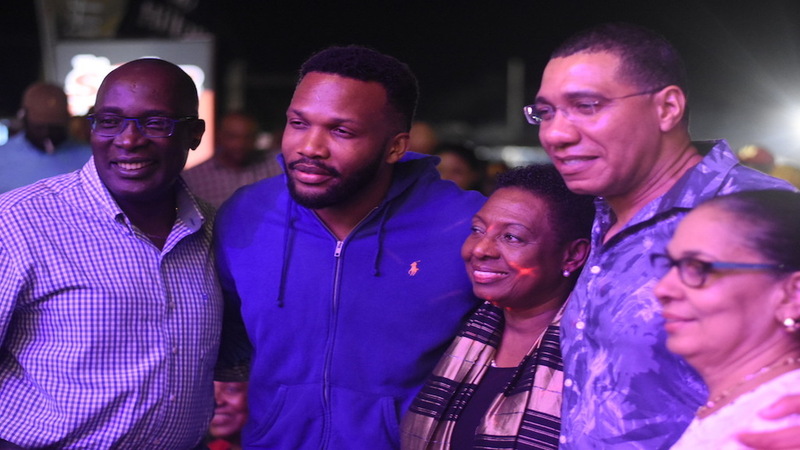 Ifrica would join Holness after completing her set and they shared a brief discussion. Africans Bobi Wine from Uganda and Patoranking of Nigeria also delivered well-received sets, with the latter getting the the crowd's approval with his hit 'My Woman'. Once again, the veterans shone brightly. Ken Boothe was not joking and he came out smoking as skanked with the audience down Freedom Street. Horace Andy was sweeter than candy and did not skylark. King Yellowman proved that he is still a force to be reckoned with as he delivered an energetic set which included an appearance from his daughter K'reema on his 'Blueberry Hill', and a cameo from Papa Michigan. Echo Minott was also impressive even though sounding a little hoarse. He rarely sputters on stage as he is armed with a string of early dancehall hits, such as 'Lazy Body' and 'What The Hell The Police Can Do?' and he used them to good effect. Leroy Smart was energetic and largely redeemed himself after being booed during his previous Rebel Salute appearance, however he watered down his set down with too many 'pull ups' and antics including that of leaving the stage and giving himself his own encore.There were also impressive sets from Agent Sasco, Chalice and Dre Island. In the early hours, Garnet Silk Jnr, Icienci Mau and son of Queen Ifrica, Imeru Tafari sparkled. Once again, Rebel Salute has come out smelling like roses and reggae music was the ultimate winner.